Home Uncategorized What Software To Use When Your Scratch Disk is Full? Each user has encounters with a hard disk cleaning problem. In such case, it does not matter which model or brand your laptop is. The essence of the problem is one – the user doesn’t have no one Mb for working! There are many tricks and possibilities for cleaning of a scratch disk without using third-party programs. Also, we would like to note that the message about the lack of free space on the hard disk is false. Therefore, before the user starts deleting unnecessary files, we recommend that you check your hard drive and by other programs. For a higher level of performance of your Mac, we recommend you check how many programs are run during startup. You can check their number with the help of both the built-in application or with the support of other programs. The primary option is to monitor many auto-loads using the “Input Objects” tab. Ability to delete unnecessary programs, and their files. As a conclusion, we note that such applications can clean the hard drive, and significantly increase the performance of Mac or PC. If there is no information on the hard disk but the system shows that it is full? Disable the FileVault encryption algorithm. Restart the PC in safe mode. Open the “First Aid” utility. Run the scan of all disks. If errors are found, fix them by click on a button. After the completion of this procedure, the location of the folder “Other” can be significantly reduced. But, this solution does not always work. Such a cleaning solution can be called defragmentation for Mac. But if OS Windows this method is used, then for Mac it’s 50/50. Such procedure as defragmentation is useful for a PC running with Windows. The problem is that due to improper storage or distribution of files on the hard disk, the OS shows that there is no free space on the hard drive than in reality. For Windows, this is a useful utility, because most of the PC is working with HDD type scratch disks. For Mac, this function is useless, and when using SSD type of disc can be even disastrous. In such cases, you can use the “Restore access rights” function. 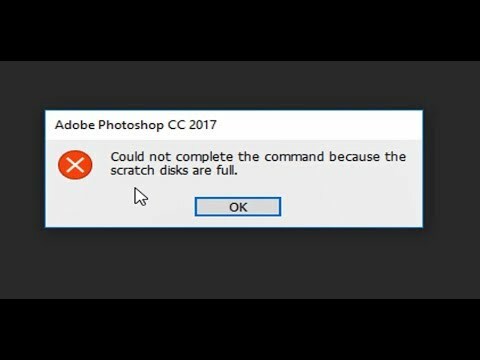 The essence of this program is to eliminate potential problems with the scratch disk. Therefore, defragmentation applies to old models of Mac, which are working with HDD disks. For new models, this is not required. These programs are more functional than those that are responsible only for startup. Some functions include: cleaning the folder “Other”; delete files from the “Downloads” folder; delete documents from the directories of movies, images and more. The main advantage of such applications is their autonomy. This means that with specific settings, these applications clean the system without human intervention. For Mac, you’ll find the best instructions if you click over here. Were explicitly designed for this OS. A procedure of cleaning takes no more 5 – 10 minutes. There are many free versions. There is no need for constant attention of a user. Configuring a scheduled scan and cleaning is possible. In simple terms: such applications facilitate the care of Mac or PC, with minimal effort and user time.